Finished the second sock late last night while listening to a very cute and charming historical romance novel (Courting Trouble by Deeanne Gist). The story is set in the late 1800s and as I worked on my sock I thought of handmade clothes, in particular socks. 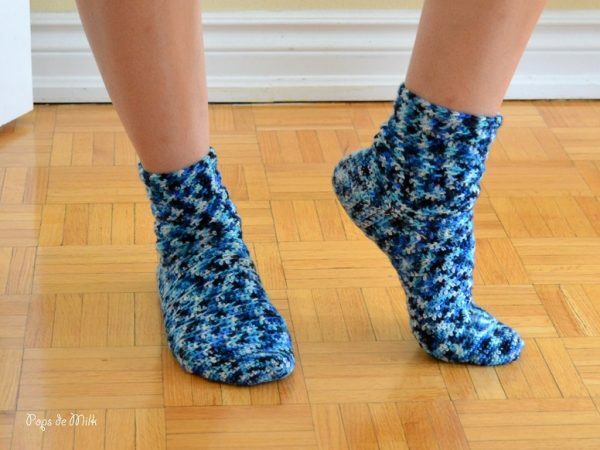 I’m sure all socks at the time were knitted but if crochet had been popular then maybe they would have made crochet socks too. For these socks I used Ancient Arts Fiber Crafts hand-dyed sock yarn and again I felt a little more connected to the characters in the story who had to make their own yarn. 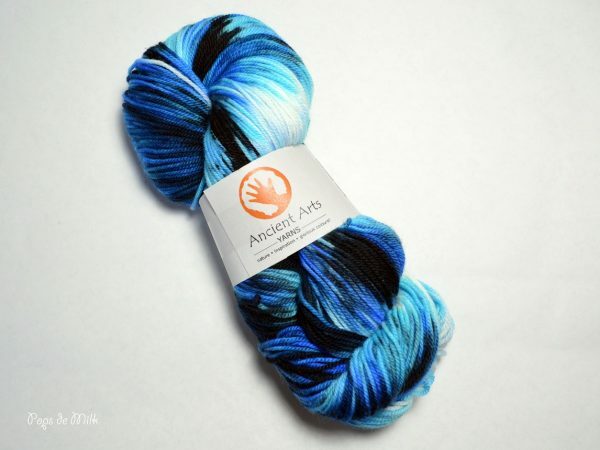 The yarn is so soft and the colours amazingly vivid – you can check out my review on the yarn here. The pattern is made up of single crochet and half double crochet rounds worked in the back loop. I used the toe-up method featured in More Crocheted Socks by Janet Rehfeldt, which is wonderfully explained here by Jennifer of Squirrel Picnic. The heels are done in short rows, which I still haven’t mastered and I somehow ended up with too many rows on one side and just enough on the other…really not sure how that happened but you can’t really tell. Overall the socks turned out really well except for a slight snugness around the heel and ankle that makes me wish there was such a thing as a sock horn. And as with previous socks I am so happy with my new pair of socks, not to mention impressed that I finished in time. A happy sock dance was in order.